ManTech is looking to apply its cybersecurity expertise to space. Parsons is getting into the launch business. COLORADO SPRINGS — With the Trump administration making a big push to create a Space Force and recent moves by the Pentagon to stand up a Space Development Agency and a U.S. Space Command, some companies in the defense industry are positioning themselves to compete for a share of the U.S. military’s $14 billion space budget. “We are expanding into the space domain,” said Damian DiPippa, general manager of mission intelligence solutions at ManTech International, a $2 billion defense contractor that provides technical support services to the military and intelligence agencies. Resiliency in space means the ability to continue to operate and provide services while under attack. DiPippa said ManTech sees a demand for detailed analysis using modeling and simulation to design a resilient architecture. DoD will want to model strategies to respond if its spacecraft are disabled or destroyed by rapidly launching a cluster of small satellites, for example. It also will need strategies for coping with network hacking. “Our objective is to identify potential threats and figure out how to combat the threats, and get systems back up and running,” DiPippa said. ManTech also is promoting its data analysis services for space situational awareness and space object surveillance and identifications. This is is a growing challenge, he said. “There are 50 countries that have assets in space, a total of nearly 2,000 satellites in multiple orbits, and tens of thousands of pieces of floating debris, anywhere from the size of a baseball to a refrigerator that could cause irreparable damage to space systems.” Congestion combined with natural hazards like weather and flares makes for a hostile space environment, said DiPippa, and DoD needs help collecting and analyzing data. “With the increased attention on space, we recognize that this has to be at the forefront of our corporate thrust,” he said. Parsons is another defense contractor that is rapidly moving into the space business. Most of its space work thus far has been in geospatial intelligence, cloud computing and data analytics. It is now expanding to space launch support, said David Weissmiller, Parsons’ director of space strategy and business development. 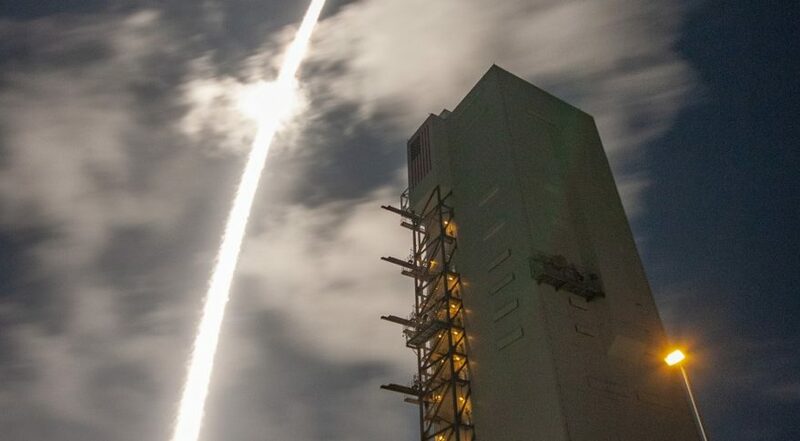 The company in February won a contract worth up to $100 million over five years from the Air Force Space and Missile Systems Center’s Launch Enterprise Directorate to serve as the prime contractor for the integration of small satellites with launch vehicles. As launch manifest systems integrator, Parsons will develop small satellite payload carriers such as ESPA rings and figure out different ways to integrate them as secondary ride-sharing payloads aboard any of the national security space launch vehicles the Air Force uses. ESPA is the Evolved Expendable Launch Vehicle (EELV) Secondary Payload Adapter used for small sats deployments. The contract awarded to Parsons — known as a engineering firm — suggests the Air Force is not just looking for contractors with launch experience but also those able to build secure facilities to integrate small satellites and get them ready for launch on short notice. The contract is for integration of payloads both with large rocket and with small launch vehicles that the Air Force may choose to acquire for experiments, Weissmiller told SpaceNews. This could become a lucrative business for Parsons as thousands of small satellites are projected to be launched over the next decade, he said. For the Air Force contract, Parsons teamed with Adaptive Launch Solutions, Tyvak Nanosatellite Solutions and Moog. The reshuffle of space agencies in DoD also could open up new sources of work for traditional contractors that provide consulting and support services, said Tim Dills, CEO of LinQuest. The company is the Air Force Space and Missile Systems Center’s second largest support contract, after SAIC. With SMC undergoing a reorganization known as SMC 2.0, there will be a need for professional advice on how to implement new concepts and “make sure there’s continuity,” Dills said in an interview. And if Congress enacts a new space branch, said Dills, his company will be ready to offer support services.